There's been a stampede on the part of importers to offer Chilean wines. The reason is simple: they often don't cost very much and our local wineries have abandoned most of the "Under Ten Buck" segment of the wine market. While it's been true that many Chilean wines are cheap, it's also true that many Chilean wines taste cheap, too. Frankly, we have a small selection of Chilean wines. There is a more forgiving segment of the market which grew up on Chilean wines. This segment of the market has been willing to purchase inferior wines with famous labels. Happily we're seeing an improvement in the overall quality of Chilean wines and there are some producers who attempt to make serious quality wines which can compete on an international basis. We are presently seeing a number of "deluxe" bottlings from Chile. Some of these show evidence of superior wine-growing and high-caliber wine-making. The question is, of course, will the market pay attention to these premium bottlings? Some, indeed, are of an international standard. Many only aspire to be great, falling short in delivering the goods. Caveat emptor. Chile has long been producing wine, though it's only relatively recently that American wine drinkers have been introduced. The Spanish were amongst the first to settle and engage in wine growing. Spain was a leading recipient of Chilean wines and the "mother country" attempted to control the "kids" by imposing taxes on wine imports to Spain and vineyards in Chile. This, naturally, didn't meet with great enthusiasm on the part of those in the "new world." Chilean history is commemorated on some wine bottles. Santa Rita makes a line of wines called "120," in honor of the 120 soldiers who had fled with General Bernardo O'Higgins in a skirmish with Spanish forces. Teaming up with an Argentinean general, O'Higgins returned with the 120 team, plus four or five thousand more and were victorious in further battles with the Spanish. In 1818, O'Higgins became the head of the new republic of Chile. A few years after, French scientists and vineyard people made their way to South America. They often brought cuttings from home, typically Bordeaux varieties. Exports of wine became very important in the 1880s and into the 20th century. Europe was under siege: the root louse phylloxera was a major disaster and Chile was able to supply quantities of wine. To this point, Chile remains untouched by phylloxera. Things deteriorated with the replanting of vineyards in Europe and exports fell off significantly. The government in Chile even imposed limits on production. Then, the Allende government nationalized many vineyards, taking them from their owners. The Pinochet regime, starting in the mid-1970s, wasn't much more helpful, restricting exports. A significant percentage of Chilean vineyards were uprooted during this period. The winds of change began blowing in the late-1980s and have been increasing to hurricane status ever since! A somewhat stable democracy has encouraged foreign investment and today you'll find French, American and other concerns investing in vineyards and wineries. 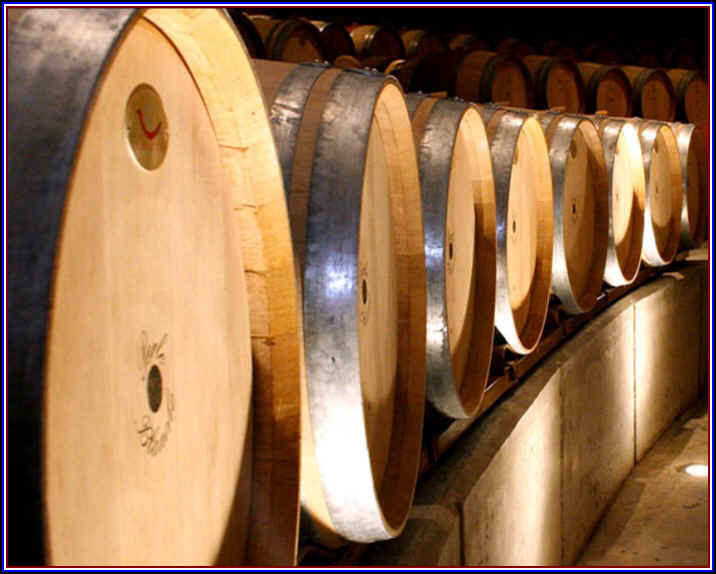 Chile is something like the 12th largest wine producing country in the world. There are approximately 271,000 acres of vineyards there. 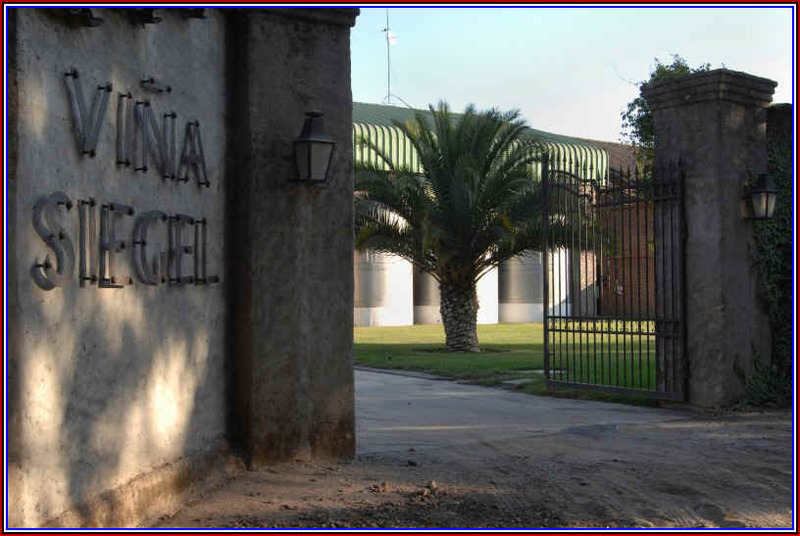 Well north of the capital city of Santiago are vineyards devoted to producing table grapes and grapes intended for distillation rather than winemaking. It is from these vines that the famous Chilean white lightning comes from (it's called Pisco). Fifty miles north of Santiago is the Aconcagua Valley. This region lies about 150 miles due west of Argentina's famous Mendoza area. It is a small and rather dry region, with about 979 acres of vines, primarily Cabernet Sauvignon. South of Aconcagua and west of Santiago is the Casablanca Valley. Some say this is prime Sauvignon Blanc and Chardonnay territory having some marine-influenced climate due to its proximity to the Pacific Ocean. It has about 4000 acres planted as of the most recent statistics. South of Casablanca and southwest of Santiago is the Maipo Valley. It comes under the "Valle Central" appellation and is a bit warmer; apparently Cabernet and Chardonnay thrive here. There are some 15,000 acres of vineyards in the Maipo. South of the Maipo Valley (and 80 miles south of Santiago) is the Rapel Valley, also part of the "Valle Central" designation. A well-regarded sub-region of Rapel is the Colchagua Valley. Both Merlot and Cabernet do well there. The Rapel has vines spread over slightly more than 30,000 acres, approximately 60% in red varieties. Also in the "Valle Central" area is the southerly Curico Valley, an area where Merlot and Sauvignon Blanc do well. This was only recently given its own designation, as it used to be considered a sub-zone of the Maule. Temperatures here vary greatly, meaning you can get sun burn during the day and the fifty-degree drop at night puts the "chill" in "Chile." Twenty-eight thousand acres of vines live in this area. The Maule is 160 miles south of Santiago and it's a big region, with 40,000 acres. The money varieties are planted here, so you'll find lots of Sauvignon Blanc, Chardonnay, Cabernet Sauvignon and Merlot. 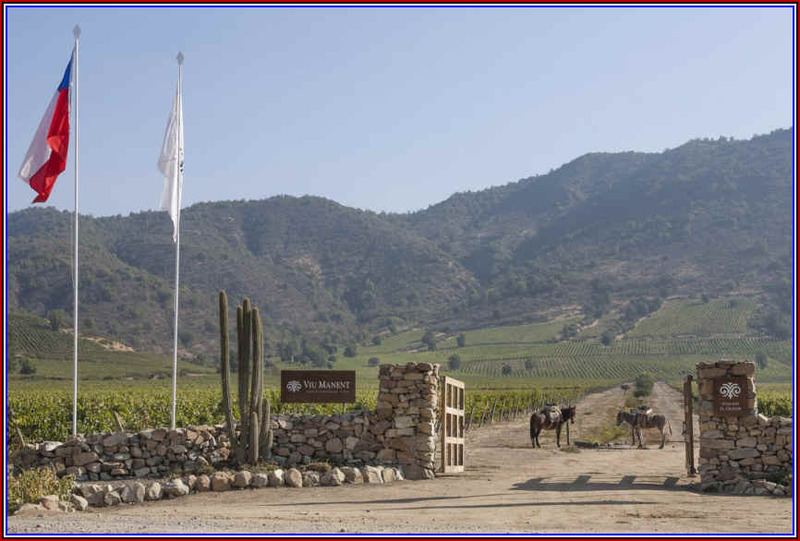 Southern Chilean features the "Valle del Itata," Some 11,000 acres of vineyards are there. The region has been the home of rather ordinary grape varieties and only today are a couple of firms starting to cultivate more noble grapes. Just south of Itata is the Valle del B�o-B�o. This is a difficult viticultural area, it being prone to spring frosts and early autumn precipitation. Early-ripening varieties such as Pinot Noir and Riesling may have a future in B�o-B�o. Not even "on the map" is the Valle de San Antonio. There are but a few new vineyards in this region, some 75 kilometers east of Santiago, but the early results are quite promising. Most of this region features relatively cool climates, so planting varieties such as Chardonnay, Pinot Noir or Syrah might be a good idea. One curiosity about Chile's exports. They've been sending a lot of "Merlot" to foreign markets, but it seems the Merlot is not Merlot at all! There has been a variety called "Carmenere" which used to be more widely cultivated in Bordeaux. According to Agustin Huneeus, a Chilean fellow who has interests in California as well as South America, the variety was brought to Chile along with Cabernet and Merlot back in the 1850s. He says it is difficult to grow, thus it faded out of the Bordeaux scene in France. The Chileans, he says, simply call it Merlot. Or used to call it Merlot. Now they're selling loads of Carmenere wines here in the U.S. We've tasted a number of these and, to this point, have found them to be, from time to time, pretty interesting wines. Don Miguel Viu Manent's family originated in Catalonia (some people call that part of the world "Spain," much to the chagrin of the locals). In 1966 he purchased the San Carlos de Cunaco winery but it took until 1990 for them to seriously make wine. We used to have some lovely wines of theirs under the "San Carlos" label. However, either some of our customers thought the wine came from just south of Belmont/just north of Redwood City or the family figured the name was too easy for Americans to pronounce, so let's put our name "Viu Manent" on the bottle and really confuse those people. Whatever. All their wines come from estate vineyards. We sale price it as a "lost leader" so people will flock to the shop looking for the best seven buck red in the Bay Area...and they do. Sauvignon Blanc, now from the 2018 harvest, is a delight. It's mildly citrusy and easily identifiable as Sauvignon. Lightly herbal and mildly grassy...it screams Sauvignon Blanc and look at its price tag! Many California wines cost $15-$35 and cannot compare to this. Dry. No oak. Impressive at this price and no California vintner offers this quality at this price. A Special Selection of Carmenere is very nice. Here's a wine that's comparable to a good level of Bordeaux or Napa Cabernet which has evidence of ripe fruit and cedary oak. Though it's a young wine, you can certainly drink it now. And ten bucks! Are you kidding me?!?!? 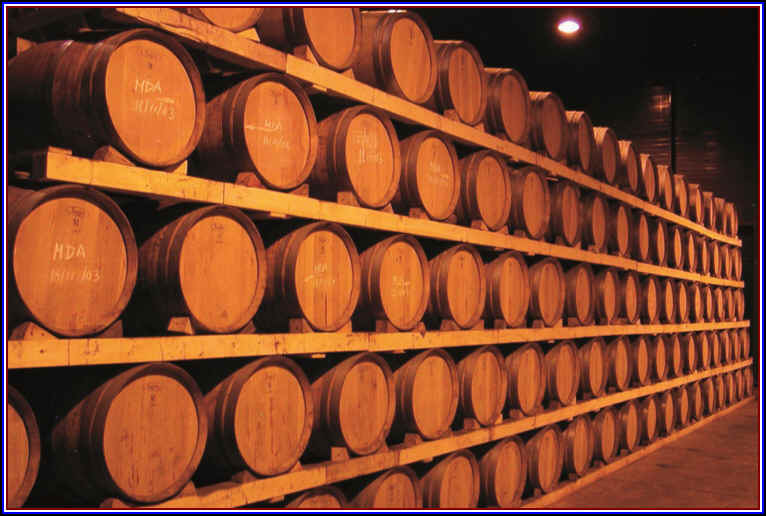 Though they do have a cellar-full of barrels, the little entry-level bottlings we feature are not aged in oak. The Siegel family came to Chile from Germany in the early 1900s. Alberto Siegel was an architect and is responsible for some notable buildings in the city of Santiago. 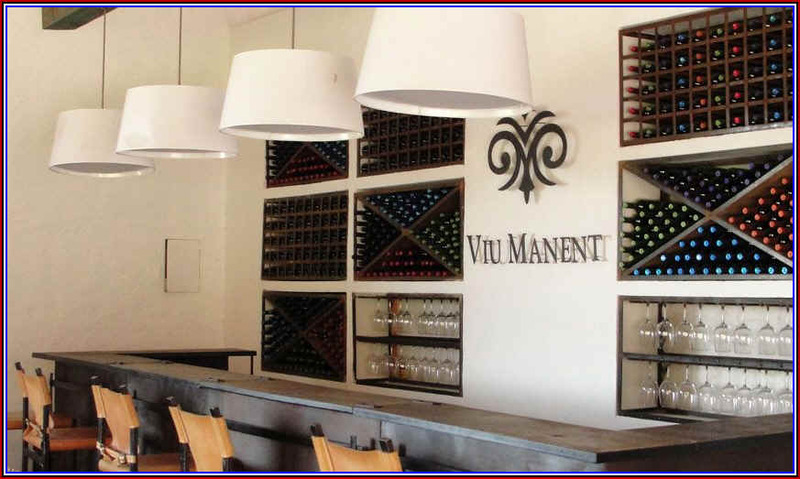 His son was a vineyard manager and worked for Vi�a San Pedro, so his kid, also named Alberto, grew up in wine country. 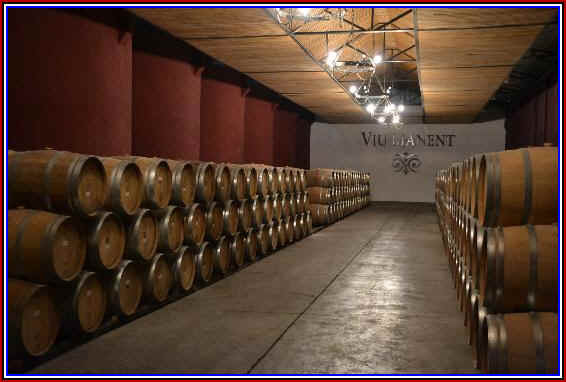 Today the family farms about 700 hectares of vineyards in a number of different locations in Chile. At one point the business mostly sold wine in bulk to other wineries, but eventually decided to bottle some wine with their own name on it and today we have an interesting red blend under the Siegel name. It's called "1234" as it's a four grape blend featuring 50% Syrah, 30% Carmenere and 10% each of Cabernet Franc and Petit Verdot. The wine is matured in French oak barrels and there's a mildly cedary tone to go along with the dark fruit and berry notes. You can drink this now and over the next year or two. It doesn't strike us as a wine for extended aging, though. Even better, it's affordably priced. This winery was founded in 1988, Se�or Montes having the idea of making really "good" Chilean wine instead of the prevailing custom of making really "cheap" Chilean wine. What a concept! Quality. For many years customers in search of wine from Chile were hunting only for inexpensive wine. And there's a lot of plonk in the market, for sure. Montes established his brand name as a winery with good quality wines and some were modestly priced, while others are in a deluxe, premium price level. The really stunning fine bottle is called Montes Alpha "M."
Here's a wine from Apalta, a sub-region of the Colchagua Valley. Anyone tasting this wine and not saying it's, at the least, in the realm of "damned good" to "excellent" simply has steel wool for a palate. The wine comes from vineyards just 18 miles from the coast. Cool nights allow for a retention of acidity in the fruit. Cabernet Sauvignon accounts for 80% of the blend, the rest being Merlot, Cabernet Franc and Petit Verdot. 18 months in new French oak. The fine-grained tannins allow for this to be consumed in its youth. With pleasure. This Montes black label wine has often been remarkably good. The last vintage we had was a 2009 blend of Cabernet Sauvignon and Carmenere. 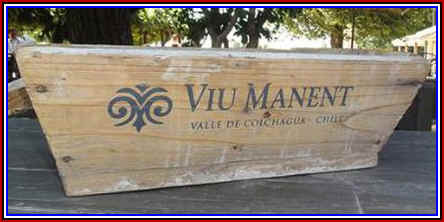 The wine comes from the Colchagua Valley and is matured in American oak. We really like this exceptionally appealing wine...it beat the hell out of anything we've found from California in this price category. Winemaker Aurelio Montes had experimented with various percentage blends, finally deciding the 70% Cabernet and 30% Carmenere was the best. We asked the current distributor to bring a bottle for the staff to taste (in hopes it's good and we can recommend it to Weimax customers). But it's now sold by a big liquor distributor and apparently the sales rep and his "superiors" (if you want to call them using that term) don't find selling these wines to be a high priority. We attended what they called a "trade tasting" and there was even a guy whose job is being the Montes winery brand ambassador. We told him we'd be interested to have the Weimax crew taste the current vintage. That was a couple of years ago. Wouldn't you think these guys would look over the sales records and see if some customers are doing well with current vintages or if they've fallen off the charts? With French ownership, the property owned by the Marnier-Lapostolle family is making, to our tastes, some of the finest wines in South America. Alexandra Marnier-Lapostolle is the young visionary behind this large firm. The winery is located in the Rapel Valley. The firm owns more than 900 acres of vineyards and producing about 200,000 case of wine annually. If you do the math, you'll see they get about 3.5 tons to the acre, a sensibly-sized crop level if you're making premium table wines. We would see their Sauvignon Blanc getting enthusiastic reviews from some of the various wine journals and we'd taste it each vintage. Sure, it's drinkable and perfectly okay, but it always seems as though they ought to be able to make something better. Way back in 1998 we included a bottle of their Cuv�e Alexandre in a blind tasting of Chardonnays from around the world. If I had been handicapping the tasting, this surely would have been picked to finish in last place. After all, it was pitted against Jacques Seysses' "Druid" (Dujac) Puligny-Montrachet, Kumeu River from New Zealand, Pierro from Australia, Torres' "Milmanda" from Spain, Beringer's Sbragia Chardonnay, as well as a Peter Michael from Sonoma. Well, surprise, surprise! As we unveiled the wines, last place to first, the Chilean wine hung in there....it finished one lone point behind the Puligny-Montrachet! We didn't conduct our blind tastings to "sell" wine. But we sold a bunch of Casa Lapostolle as a result! The wine comes from the Casablanca region and it's entirely barrel-fermented in French oak. When one vintage (I think it was the 2003) got a high numerical score someplace, the wine became rather unobtainable. Since then, we have lost track of Casa Lapostolle wines. After a few years of the wine being featured at Weimax, we were suddenly cut off in favor of new, sexier accounts. Now, well more than a decade later, the liquor company distributing Casa Lapostolle wines has never thought to bring the wines around for the crew to taste. I've tasted a few wines at trade events over the years, but have not really been looking to feature their wines as the distributors don't seem to care if they sell Lapostolle wines or not. We had purchased a bottle of their Syrah, again, ages ago. It was dark, packed with plums, blackberries and even had a nice measure of wood. We stacked it in the shop and customers would routinely return to buy more as it was a very charming bottle. Then, once again, the wine got a high numerical score in some journal. Maybe it was The Wine Spectator. And suddenly the wine became unobtainable. The distributor told us we needed to buy a load of some wine which wasn't selling well at that time in order to be rewarded with being allowed to purchase a box of Syrah. Well, we don't demand that our customers buy 6 bottles of some marginal quality wine so they might be able to purchase something of interest, so, once again, we'd become allergic to Casa Lapostolle wines. So we are amused to have the 2012 vintage of Syrah at an attractive price. Apparently they've had difficulty in the past few years selling this wine at the $25-$30 price range and their trade partners did not appreciate being told this was available solely with the purchase of other wines. We now have the current vintage on sale. It's a big, dark, full-throttle red. Nice oak. Nice fruit. We liked their Cuv�e Alexandre Merlot, but their sales company doesn't have the personnel to bring the wines around to show our crew, so that has been sold out of several vintages. Clos Apalta is their deluxe blend. The first vintage or two were primarily Merlot. More recent vintages have featured Merlot and Carmenere. Now there's Cabernet in the mix. This 2008 is said to be Carmenere with 17% Cabernet Sauvignon and 10% Merlot. 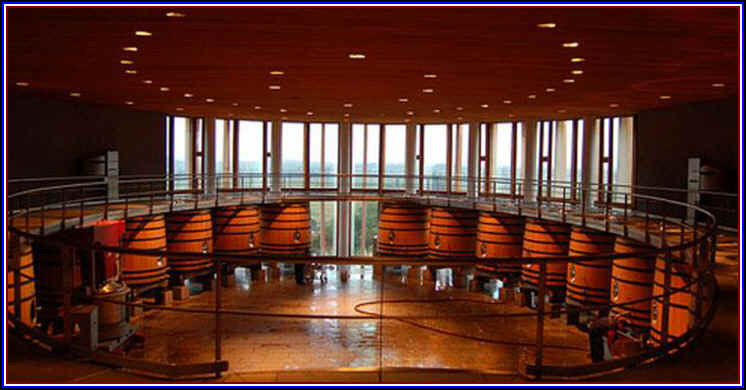 They use new oak to mature the wine, so it's fairly showy. Now with some bottle aging, the wood is less pronounced than it was upon release a few years ago. A curious blend is a recent addition to their portfolio. It's called Borobo. "Bordeaux, Rhone and Bourgogne." I bought one of these and could not understand what they were trying to achieve by blending Pinot Noir with Carmenere, Merlot, Syrah and Cabernet. The current vintage wholesales for more than $50 a bottle...What are they thinking??? Cuv�e Alexandre Chardonnay -- Can order this and other wines for you. The history of this winery goes back to about 1880, but the winemaking has been rather "modern" for quite a while. In the early days of Chilean wines arriving in the U.S. market, we often found the Santa Rita wines to be bright, fruity and balanced. No "off" elements were noted in their wines and the prices were usually quite reasonable. We didn't carry the wines for years because their U.S. importer would unload the wines to a chain store which would retail them for about the same price as the wines cost from the Santa Rita wholesaler. Why this distributor in California permitted this practice, I will never understand. The winery, however, changed importers and we are able to offer the wine at a competitive price and one which is sensible, given the quality. I bought a bottle of their current vintage of Cabernet Sauvignon from their "120" line of wines. This number has special significance in Chile's history. It refers to the 120 "freedom fighters" who waged battle against the Spanish army in the early 1800s. This band of soldiers was given refuge in what is the Santa Rita hacienda where they regained their strength in Chile's fight for independence. The fruit comes from Chile's Valle Central. Most of the wine was retained in stainless steel to preserve the fruity aspects of this wine. Only 10% was barrel aged and only for 8 months. You won't find this to be a huge, deep, complex red wine and it won't compare in intensity to a big Napa or Australian Cabernet. On the other hand, it's selling presently for less money than you'll pay to taste two or three sips of wine at most Napa wineries. We find a nice, fruity, cherryish aspect to the fruit character. Maybe a hint of plums, too. Not much in the way or wood or tannin, so this is drinkable immediately and best at cool cellar temperature. It's not intended for cellaring, so enjoy it when it's young and fruity. I bought a bottle of their "Casa Real" Cabernet, a wine selling for $50 a bottle. Can't say it was exceptional, though it was big, deep and rather leathery.